Visitors to their favorite Provincetown, Massachusetts bed and breakfast can experience not only the incredibly beautiful landscape and seascape, but also witness the rich history that Provincetown is steeped in by visiting many of the landmarks and buildings throughout the city. Here are a few of BBOnline's favorite Provincetown, MA locations. The Provincetown Library is one of the architectural and historical elements that make Provincetown special! A fully functioning and full service library, The Library was donated to the city for library use in 1873, but was built in 1860 and used as a Methodist Episcopal Church prior to being donated as a library. Visitors to the Provincetown Library can witness the rich history that surrounds the building. The Provincetown Library is open 7 days a week. Monday through Friday the library opens at 10am to 5pm and on Saturday and Sunday from 1pm to 5pm. Provincetown Library offers extended weekday hours Tuesday, Wednesday and Thursday until 8pm. Admission is FREE to the public. Would you like to visit Provincetown, Massachusetts? Share with us on Facebook! 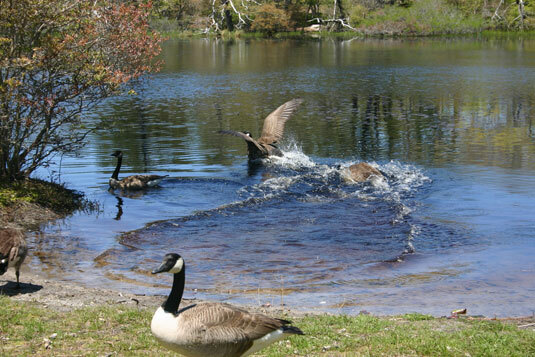 Nestled just inside the Cape Cod National Seashore Park is Beech Forest, a peaceful and relaxing wildlife preserve that offers an abundance of nature including Canadian Geese, deer, different grasses and flowers, water life and more. Beech Forest is the perfect back drop for a hike, picnic or bike ride. The Beech Forest Trail winds just over a mile through the natural landscape and along the water's edge and is the perfect place to do some bird watching! Cape Cod National Seashore Park is open year round from 6am to Midnight; however the Visitor's Center is open daily from 9am to 4:30pm. Admission to the park is $15 daily per vehicle and pedestrians and bicyclists is $3 per person. 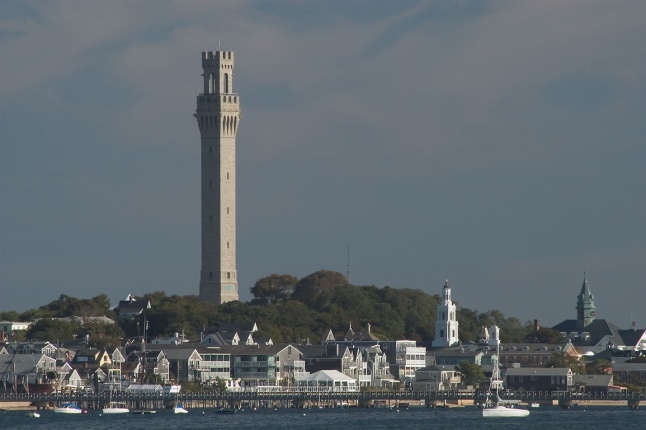 The Pilgrim Monument was established in 1892, the 252 foot tower of the Pilgrim Monument was built in 1907, commemorating the 1620 landing of the Mayflower Pilgrims. History tells that the Pilgrims stayed in Provincetown for about five weeks before sailing on to Plymouth. Provincetown is also where the Mayflower Compact was drawn and signed, which would later be the foundation of law in the New World. For more than a century, visitors have been climbing the tower and visiting the museum to learn about early American and Pilgrim history. 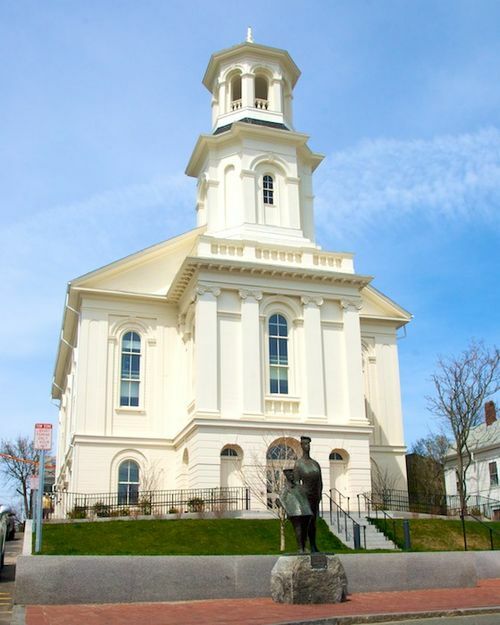 Pilgrim Monument and Museum is open daily from 9am to 5pm. Admission is $12 for adults ages 15 and older; $4 for children ages 4 to 14 and FREE for children 3 and under. This picturesque seascape comes alive in the summer months, but offers just as much in the winter as well, but without the crowds. 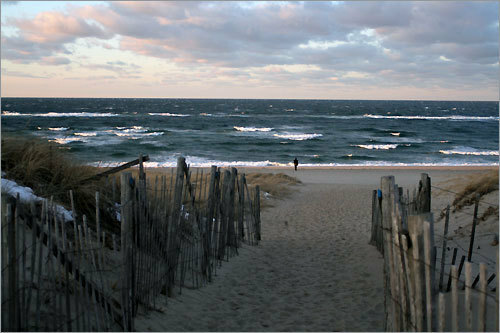 Race Point Beach sits at the point of Cape Cod and is known for its long sandy beach and rip tide currents and is the perfect location for sun worshippers, whale watchers, sailing and surfing. Located inside the Cape Cod National Seashore Park on Race Point Road, the park is open daily from 6am to Midnight and admission is $15 per vehicle or $3 per person for pedestrian or cyclists.